The first day of a new challenge is all about asking questions and making decisions. Do I really want to do this right now? Can it work? Is it going to work? What do I do on Thanksgiving? The answers: Yes, yes, yes and just the same – we’ll celebrate the holidays and follow the plan because it’s not a diet, it’s a choice and we’ll enjoy great food, just not all the food, all the time. 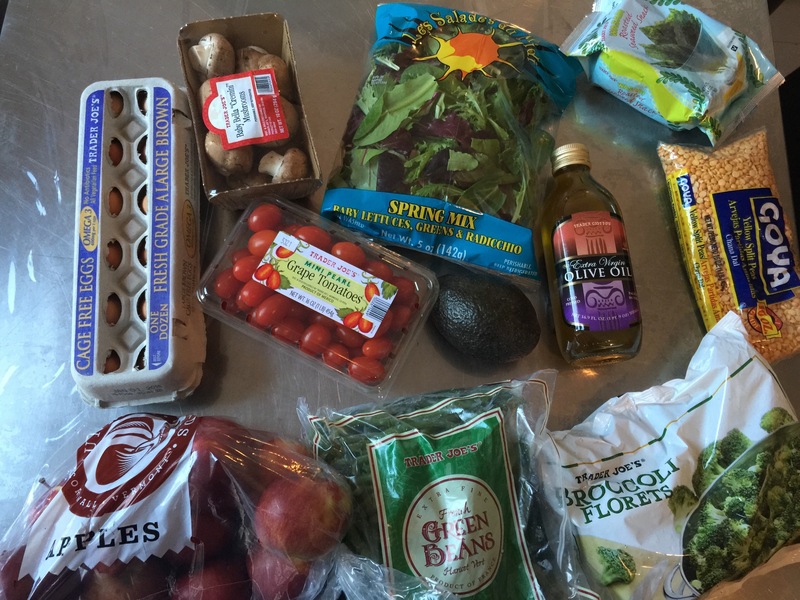 Yesterday’s post was about implementing the decisions – purging the kitchen of the foods we’re not eating any more. It’s really tempting to hold on to the bad stuff, but to ease your conscience, just put it in a bag to donate. That’ll make you feel better about getting rid of it. My donate pile got filled up pretty quickly with all these sugary things that I was keeping around even though I’d never opened them. These boxes really had no business being in my kitchen. My trash pile includes expired containers and boxes that were opened but that I don’t plan to use. And then… drumroll…. 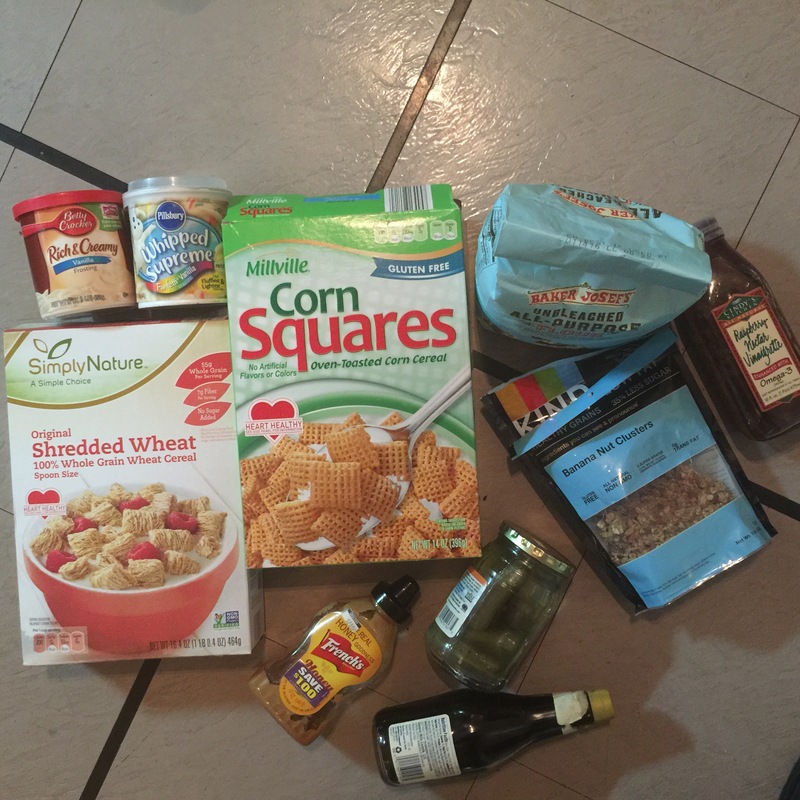 here’s some of the awesome, healthier options I restocked my kitchen with. Most people overeat carbs. Most of our ancestors ate less than 100 grams of net carbs per day, mainly from fruits and vegetables. As a comparison, the typical American diet has us consuming between 350 and 600 grams per day, and that’s mainly from sugars and grain products. Bread, pasta, cereal, potatoes, rice, fruit, dessert, candy – whether simple or complex carbs, that’s a whole lot of carbohydrates. Unless we’re running an ultra marathon the next day, we probably don’t need so much carbs. 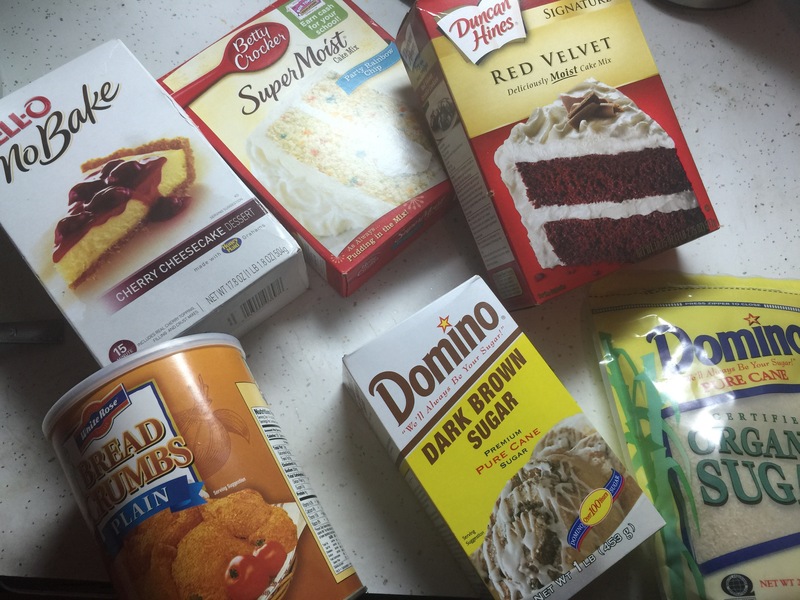 Count your net carbs, not your total carbs. Limit net carbs to 100 grams per day with the rest of your calories coming from protein and fat. I heard from a lot of readers yesterday who found this plan interesting. I hope you’ll join me on the journey. 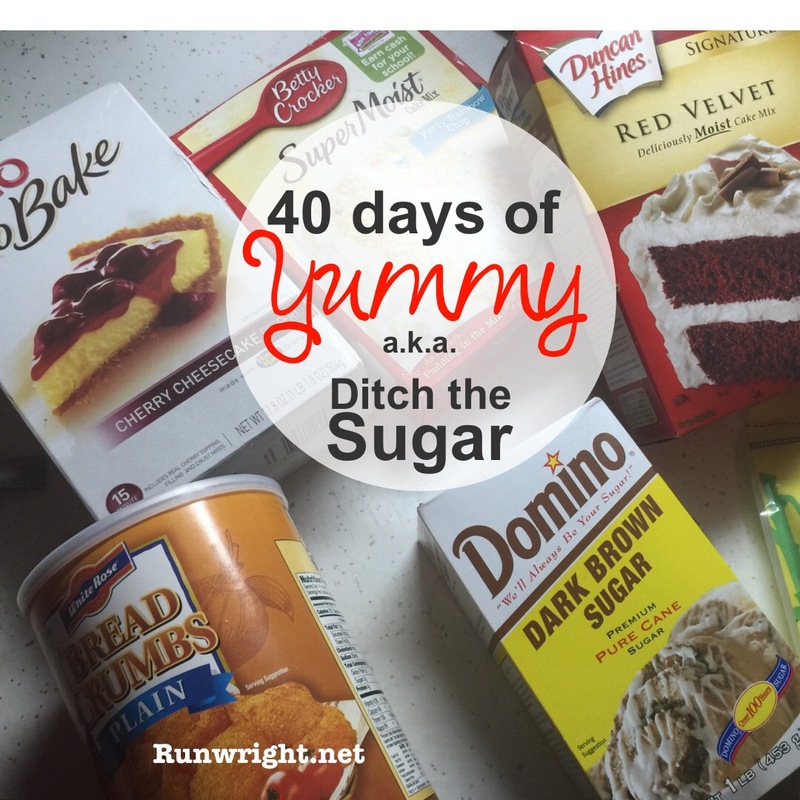 40 days of yumminess. Let’s go! Look all that delicious food. Way to go!! Keep it up!